Sponge cakes made with gluten-free flour have a soft texture, and make an excellent layer cake. 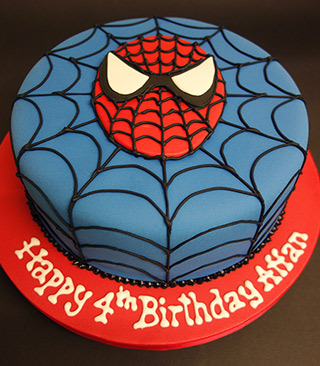 My standard party cakes are made up of two layers of sponge, made with organic butter, eggs and sugar. Choose from: Vanilla (made with organic Madagascar vanilla extract), Chocolate (made with organic cocoa powder), Orange or Lemon (made with zests from organic fruit), or Chocolate-Orange. Filled with organic buttercream. 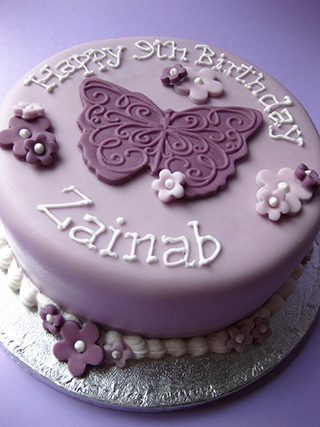 Dairy-free and egg-free cakes are also available. Topped with rolled, sugarpaste icing (not organic). NB: Coloured icing contains permitted artificial food colours, and piped icing contains raw egg white from organic, free-range hens' eggs). A limited selection of natural colours is also available. 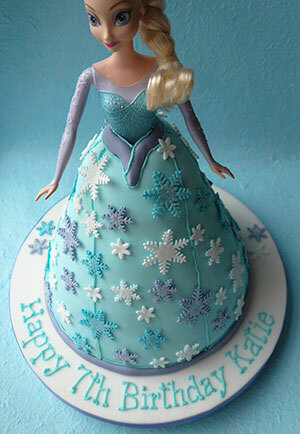 Plain, iced cakes with simple piped message start from £50.00 for a 7-inch cake. More complex designs start from £80.00. Click here for fancy chocolate-covered novelty cakes. 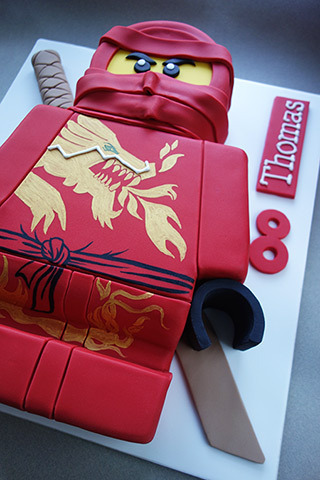 All my birthday cakes are freshly baked to your specifications. 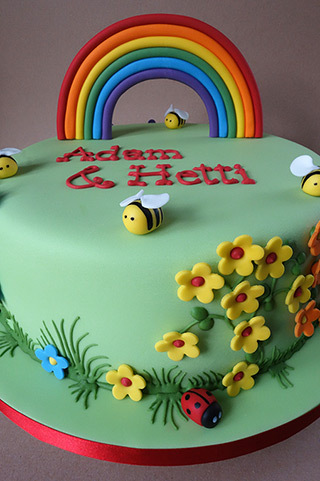 If there's a special flavour your child loves, or if you need a dairy-free or egg-free cake, or have any other dietary restrictions, do call so we can talk about what you need.